Christian Ottensmeier is Professor in Experimental Cancer Medicine. He graduated in Münster, Germany and began his specialist training there. After a 3 year training fellowship in the Dana Farber Cancer Institute in Boston, Massachusetts, he moved to Southampton. He completed his oncology training and also undertook his PhD here. He has been a consultant in medical oncology since 2000. Clinically his interests are thoracic malignancies and melanoma, and he has co-developed a number of national NCRI studies in lung cancer. He manages a broad and active clinical trials portfolio in both lung cancer and melanoma. Christian leads the Experimental Cancer Medicine Centre in Southampton (http://www.ecmcnetwork.org.uk/) and the early translation of immunotherapeutic strategies into the clinic is his core academic interest. The portfolio of his own trials includes single centre and multicentre studies with both immunotherapeutics developed in house as well as collaborative work with industry. Together with Dr. Katy Rezvani at the Hammersmith Hospital he was successful in obtaining the first cancer trial grant in the UK from the Efficacy and Mechanisms Evaluation board (http://www.eme.ac.uk/) of the National Institute for Health Research in the UK for a vaccine study in haematological malignancies. A parallel strand of investigation examines the effect of chemo-immunotherapy on both anticancer as well as bystander immunity in small cell lung cancer with an anti-CTLA4 antibody. This multicenter study recruits collaboratively with the Barts (Dr. Peter Slozarek), Cambridge (Prof. Tim Eisen), Leeds (Dr. Clive Mulatero) and Sheffield (Dr. Sarah Danson) ECMCs as well as with Poole (Dr. Tom Geldart) and Brighton (Prof. Michael Schmidt). Christian also contributes to early phase industry sponsored immunotherapy studies, utilizing a wide range of strategies including viral and cellular delivery strategies. 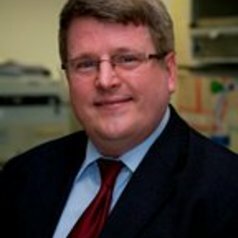 He has served on a number of industry advisory boards and DSMBs for industry led studies and is also a member of the Clinical Development partnership between Cancer Research UK and Astra Zeneca (http://www.clinicalpartnerships.com/team/sab). He is a member of a number of national peer reviewed funding committees for Cancer Research UK (http://science.cancerresearchuk.org/) and Leukemia and Lymphoma Research (http://beatbloodcancers.org/research). The overarching aim of his laboratory group is the preclinical development and early phase clinical testing of strategies to induce anti-tumour immune responses in patients. (After an initial focus on B cell malignancies the majority of the work is now in solid tumours. This has led to three linked but distinct areas of investigation: Detailed immunological evaluation of the effect of immunological intervention in patients, assay development and validation, and finally mechanistic studies in murine models as well as human modelling of immune responses to vaccination for further preclinical cancer vaccine development. The aim is to complete the loop back into the clinic. Christian holds programmatic funding from Leukemia and Lymphoma Research and Cancer Research UK.